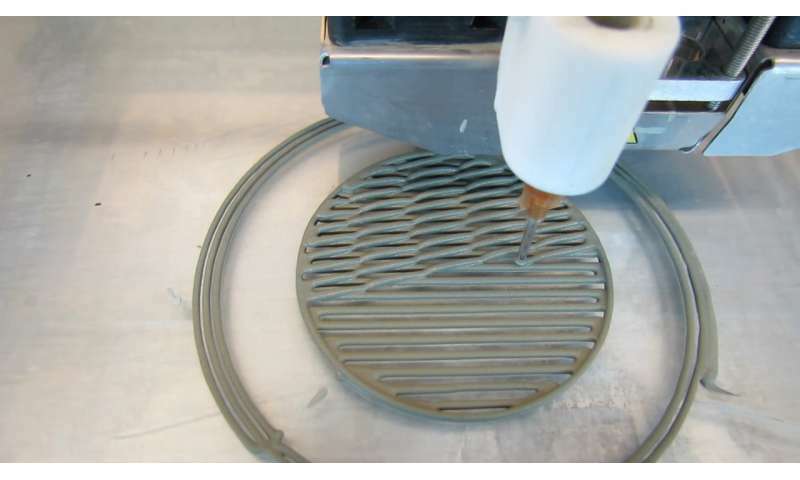 Purdue University researchers have 3-D-printed cement paste, a key ingredient of the concrete and mortar used to build various elements of infrastructure, that gets tougher under pressure like the shells of arthropods such as lobsters and beetles. The technique could eventually contribute to more resilient structures during natural disasters. "Nature has to deal with weaknesses to survive, so we are using the 'built-in' weaknesses of cement-based materials to increase their toughness," said Jan Olek, a professor in Purdue's Lyles School of Civil Engineering. 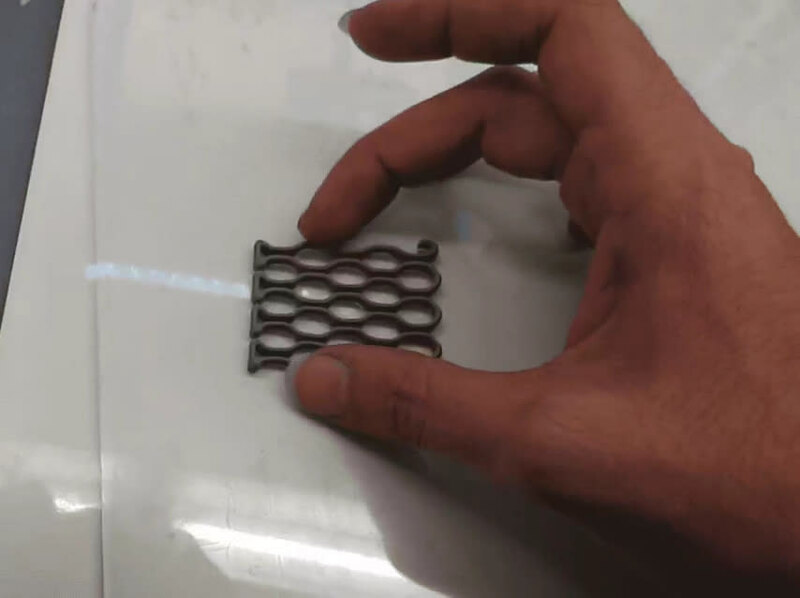 "The exoskeletons of arthropods have crack propagation and toughening mechanisms that we can reproduce in 3-D-printed cement paste," said Pablo Zavattieri, Purdue professor of civil engineering. 3-D-printed cement-based materials—such as cement paste, mortar and concrete—would give engineers more control over design and performance, but technicalities have stood in the way of scaling them up. Purdue engineers are the first to use 3-D printing to create bioinspired structures using cement paste, as shown in a published paper and the frontispiece for an upcoming print issue of the journal Advanced Materials. "3-D printing has removed the need for creating a mold for each type of design, so that we can achieve these unique properties of cement-based materials that were not possible before," said Jeffrey Youngblood, Purdue professor of materials engineering. The team is also using micro-CT scans to better understand the behavior of hardened 3-D-printed cement-based materials and take advantage of their weak characteristics, such as pore regions found at the "interfaces" between the printed layers, which promote cracking. This finding was recently presented at the 1st RILEM International Conference on Concrete and Digital Fabrication. "3-D printing cement-based materials provides control over their structure, which can lead to the creation of more damage and flaw-tolerant structural elements like beams or columns," said Mohamadreza "Reza" Moini, a Purdue Ph.D. candidate of civil engineering. Some of the bioinspired cement paste elements designed and fabricated by the team using 3-D printing techniques include the "honeycomb," "compliant" and "Bouligand" designs, called "architectures." Each of these architectures allowed for new behaviors in a 3-D-printed element once hardened. The Bouligand architecture, for example, takes advantage of weak interfaces to make a material more crack-resistant, whereas the compliant architecture makes cement-based elements act like a spring, even though they are made of brittle material.